Have you ever wondered why asphalt shingles are one of the best products in the roofing market today? That’s because these shingles have been subjected to a variety of tests that determine just how tough they are and how they measure up against a standardized industry benchmark. Only shingles that meet these benchmarks are packaged and sold since only these shingles are qualified as fit for actual use. How are these performance standards tested? Here’s a short explanation on these tests. There are two tests that determine shingle strength: the tear strength test and the pull-through resistance test. The first one is pretty self-explanatory; one of the biggest issues homeowners have with their asphalt shingles is tearing, and this test subjects shingles to tearing forces that would normally affect a shingle on a rooftop. This test, also called the Elmendorf test, single-handedly gives an idea of the overall toughness of the shingle since it tests for tensile strength and the shingle’s crack resistance. The pull-through resistance test, on the other hand, measures the force required to tear the shingle through a nail and at what temperature. This can be an important measurement during roof repair since it will give you an idea as to why shingles were pulled through their securing nail. Roof ratings are basically a measurement of how resistant a type of material is against certain hazards. The two most common ratings are impact and fire ratings, although other specialized ratings exist that are location dependent. Impact ratings are a measurement of how tough a shingle is against overhead impact of any sort. This is especially important in areas with high winds, which increases the risk of debris, and hailstorms. The ratings range from Class 1, which is the weakest resistance, to Class 4, which can generally withstand high-impact hail. Fire ratings, on the other hand, are a measurement of how resistant the material is to fire. This might not seem initially important, but having a roof with a higher fire rating makes it less likely to burn right away during a blaze, which makes it easier to safely evacuate without the risk of overhead harm. Asphalt shingles, for example, are Class A, which means that your roofing contractor is selling you an item that has a high resistance to catching fire. 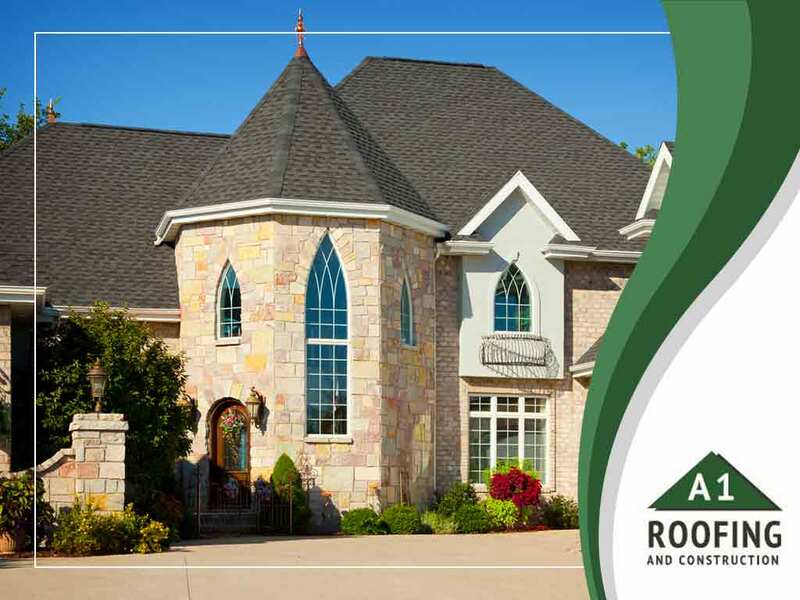 Here at A1 Roofing & Construction, we proudly carry some of the best asphalt shingles in the industry that have passed each of these tests with flying colors. But don’t just take our word for it. Give us a call at (401) 265-1019 to find out more about our products. We serve residents of Providence and Warwick, RI, and New Bedford, MA.